Leading e-commerce marketplace Flipkart says it dominates the mobile commerce space with fashion discovery subsidiary Myntra, drawing 63 per cent of all traffic among the major shopping apps in the country. It cited data from analytics firm SimilarWeb. Which says Flipkart was in December the leading app used by consumers in India to shop online, with 47 per cent of the traffic going its way. The Myntra app was ranked second in terms of traffic, with16 per cent. 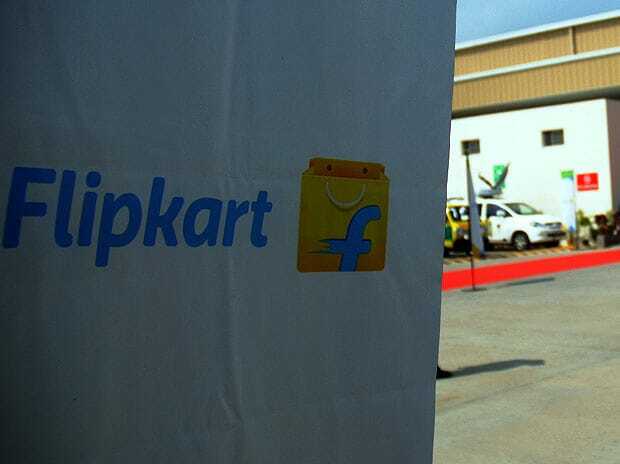 Flipkart has a little over 50 million monthly active mobile users on its platform, nearly three times that of rivals Snapdeal and Amazon India, according to Naspers, one of the largest investors in Flipkart. SimilarWeb’s findings corroborate this, with data that puts Amazon in third and Snapdeal in fourth place, in terms of mobile app traffic. Mobile commerce is increasingly becoming the dominant driving force of online product sales in India, with 70 per cent of e-commerce traffic from mobile devices. Driven by soaring smartphone sales, mobile apps have become a key focus area of many internet companies in India, to get users on to their platforms. Amazon India, last November, claimed it saw a little over 200 million users visit its mobile and desktop websites during the previous month. In comparison, it said Flipkart had only 163 mn visitors and Snapdeal had 109 mn. Amazon also said 70 per cent of the traffic on its platform came from mobile devices. The data also suggests the Flipkart app is installed on 37 per cent of the Android smartphone base in the country, and with the Myntra app, the company has a presence on 47 per cent of all Google-powered devices in India. Amazon and Snapdeal have an equal install-base of 18 per cent. There are about 160 mn smartphone users in the country, 85 per cent of whom use Android devices. While mobile apps are the dominant drivers of traffic on e-commerce platforms, Flipkart recently ditched its app-only efforts with the re-introduction of its mobile website. Myntra continues to maintain an app-only presence.